The etiology of birdshot retinochoroidopathy is, as yet, unknown. There is a class of genes known as human leukocyte antigens (HLA), and specifically one called HLA-A29 (also HLA-A29.2 or HLA-A*2902), that is present in the overwhelming majority of “birdshot” patients, and is thought to be involved in the development of the disease. Infection, by virus or bacteria, in susceptible individuals is thought to act as a trigger, with the disease then being self-propagated by an autoimmune mechanism. What are the symptoms of birdshot retinochoroidopathy? It is normally a chronic problem, with symptoms that develop and progressively worsen over several months to years. The most common complaints are floaters and flashes, and blurry or hazy vision, sometimes described as looking through murky water. Color and night vision are often decreased. Patients usually do not complain of pain or redness, though it can be present. There are not any systemic diseases that are typically associated with “birdshot”. How do you diagnose birdshot retinochoroidopathy? Clinical examination is the most important tool in the diagnosis of birdshot retinochoroidopathy, though a full history and review of systems must be performed to help evaluate for other potential infectious or autoimmune causes. Examination often shows little to no inflammation in the “front” of the eye, however dilated exam can reveal a dense collection of inflammatory cells and debris in the vitreous, pallor of the optic nerve, attenuation of retinal vessels, retinal vasculitis, macular edema, and the presence of “birdshot lesions” or creamy yellow-white spots involving the retina and choroid. Cataract formation can also occur as a result of long-standing inflammation or chronic use of corticosteroid eye drops. 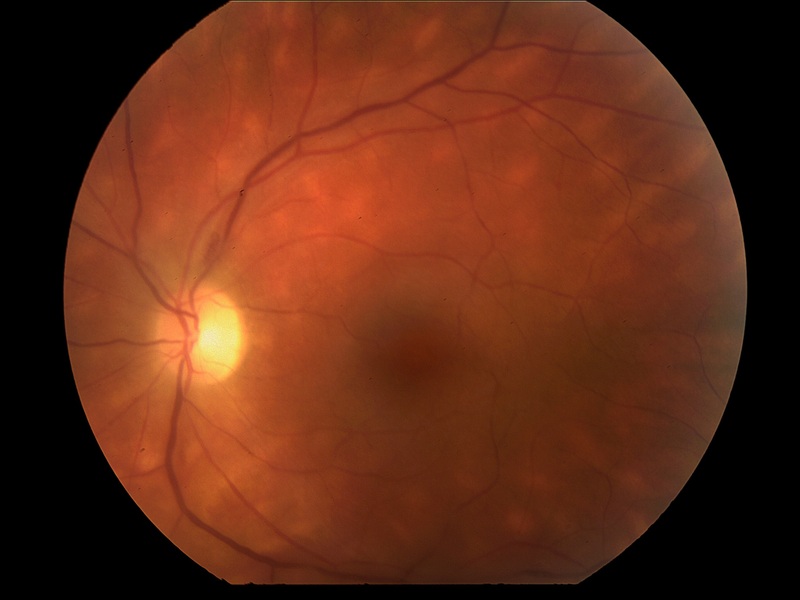 Rarely, new blood vessels can sometimes grow between choroid and retina which can cause severe vision loss even after inflammation is treated. What testing is performed to help diagnose birdshot retinochoroidopathy? Can birdshot retinochoroidopathy be treated? How do you treat inflammation from birdshot retinochoroidopathy? Birdshot retinochoroidopathy is a severe and stubborn form of uveitis, and as with all types of uveitis, inflammation must be quieted by whatever means necessary or blindness will ensue. Corticosteroids are usually the way to treat most non-infectious uveitis quickly, but for “birdshot”, the way in which they are given may have an effect on the disease course. Our research at MERSI has found that patients who have received oral corticosteroids have shown a higher rate of disease recurrence, even after achieving long-term remission on immunomodulatory therapy. Injection into the eye (intravitreal injection) was not shown to have this risk. Topical eye drops are not effective in treating inflammation in the back of the eye. Immunomodulatory therapy is the standard of care for treating birdshot retinochoroidopathy. Our years of experience at MERSI treating patients with “birdshot” have shown the most effective initial treatment strategy involves starting combination therapy with mycophenolate mofetil (CellCept®), an antimetabolite, and modified cyclosporine A, a calcineurin-inhibitor. In cases of intolerance or poor efficacy, mycophenolate is sometimes replaced with another antimetabolite, or the patient is transitioned to intravenous therapy with a TNF-α inhibitor such as infliximab (Remicade®). Stubborn and poorly controlled disease on these medications may require use of an alkylating agent such as cyclophosphamide (Cytoxan®). A corticosteroid implant surgically placed within the eye, fluocinolone (Retisert®), can be used for patients who are not able to achieve remission on or tolerate immunodulatory therapy, or in cases where this option presents less of a burden on life than long-term medical therapy. What other problems are associated with birdshot retinochoroidopathy and how are they treated? Cataracts and glaucoma can both occur as a result of active inflammation or long-term treatment with corticosteroids. Cataracts can be removed, ideally when inflammation has been treated and the eye is quiet, but may need to be removed to see and treat problems inside the eye. Glaucoma is initially treated with eye drops, followed by laser therapy, and lastly surgery if necessary. Problems with the central retina, especially macular edema and epiretinal membranes, are frequently seen. Macular edema may resolve when inflammation is treated, however if it persists, it can also be treated with topical NSAIDs or oral acetazolamide. Epiretinal membranes can be surgically removed if they are felt to cause progressively worsening vision. Intraocular injection of either corticosteroid or a VEG-F inhibitor, such as bevacizumab (Avastin®), is extremely effective in treating macular edema. These can also be used to treat choroidal neovascularization, new blood vessels that grow between retina and choroid as a result of a break in the barrier that lies between them.